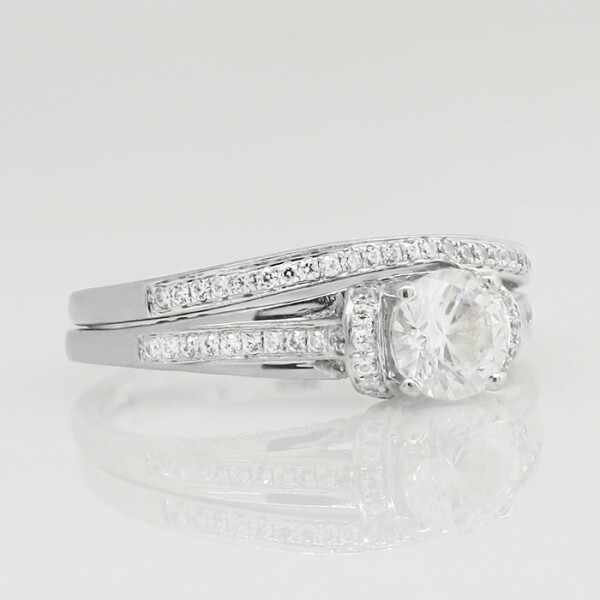 Jessica with 0.84 carat Round Brilliant Center and One Matching Band - Platinum - Ring Size 5.75-6.75 was added to your cart. The petite yet glamorous Jessica engagement ring has a modern design that surrounds the 0.84 carat Round Brilliant cut Contemporary Nexus Diamond in subtle shimmer. The band loops around the center stone in the shape of a loose knot, representing your lifetime commitment to your love. 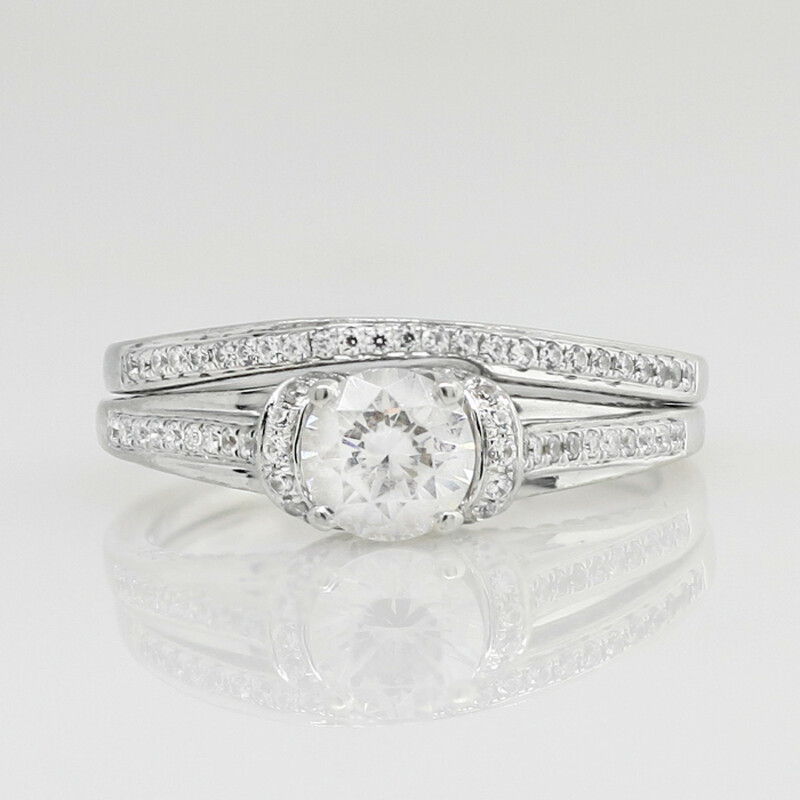 Included with this ring is the shimmering wedding band, subtly curved to fit neatly alongside the Jessica engagement ring.